My favourite thing about this day is the huge smile on Lindsay's face throughout the photos. 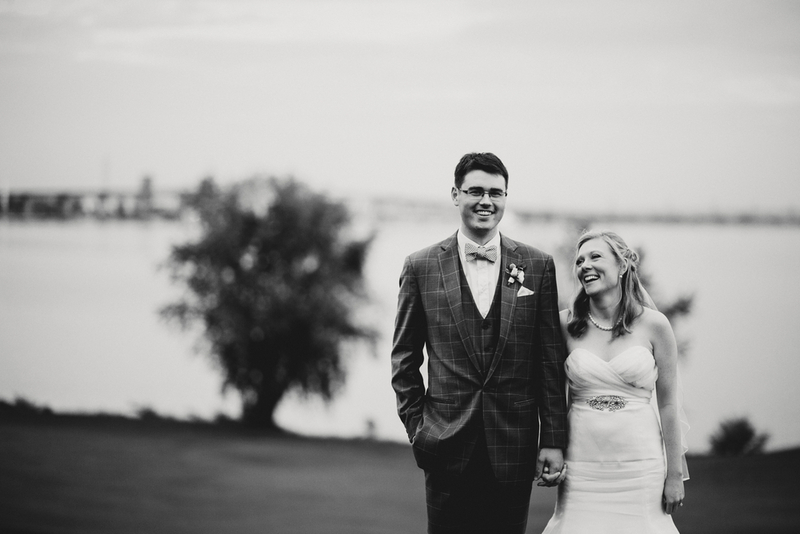 Jenn & Dave Stark captured this well-travelled pair - and their wedding day - perfectly. Their big day was so full of joy and laughs, I'm thankful to have been a part. Lindsay and Andrew started their day with a first look at Royal Botanical Gardens in Burlington, Ontario. Thankfully, the weather cooperated for their June wedding at Burlington Golf and Country Club. The food is always delicious at BGCC and now I can't get the dulce de leche cheesecake we enjoyed for dessert out of my mind. Partial Planning, Design & Vintage Rentals by KJ and Co. Photos by Jenn & Dave Stark | Burlington Golf & Country Club wedding planned and designed by KJ and Co.